VANCOUVER, BC – Powell Brewery has announced details of its newest limited edition beer which is due out next week. Daybreak has the spicy yeast character of a classic Belgian ale with the distinctive hop profile of a Northwest IPA. Orange peel & coriander mingle with a tropical fruit hop character,rounded out with a hit of estery goodness. A patio beer that is both refreshing and intricate! 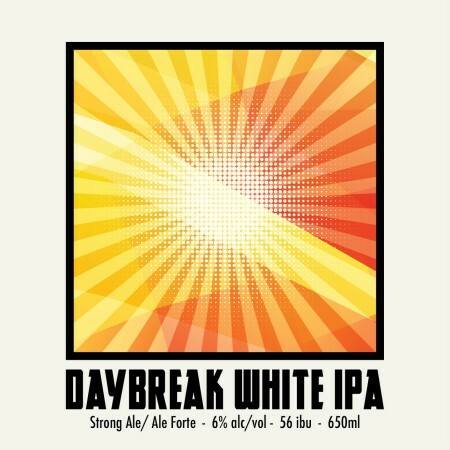 Daybreak White IPA will be released Monday May 1st at 2:00 PM in the Powell Street tasting room and retail store, where it will be available in 650 ml bottles and growlers to go, and glasses and flights at the bar.